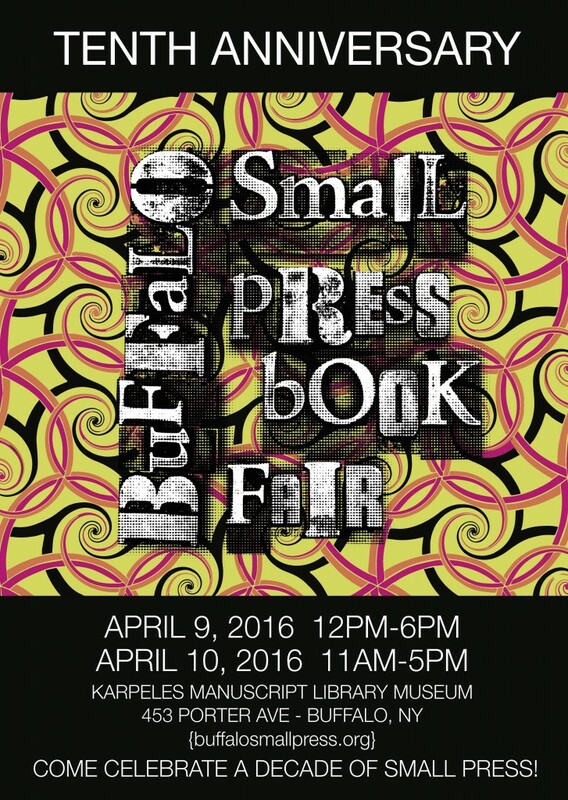 Vendor Applications for the 10th Anniversary Buffalo Small Press Book Fair are now closed! If you didn’t get a chance to apply this year, sign up for the mailing list on the homepage, and we’ll notify everyone by email if slots open up. If you’re still expecting a reply, those will come out this week as we review the final applications. Sponsor Applications will remain open until March 1st; if you’re interested in sponsoring the Buffalo Small Press Book Fair, you can apply online here. Thank You for an Amazing Decade!